Last week, we were fortunate to be able to work with the Auckland Central RDA in providing this Roll-A-Ramp® solution. 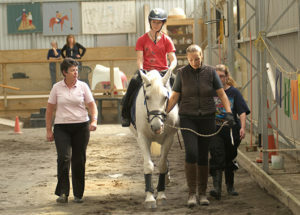 They required the ramp to allow access to the club rooms at Meadowbank Pony Club, allowing the young riders to be kitted up in the same area as other riders. After some extensive research, Yvonne of the Auckland Central RDA found the Roll-A-Ramp® and realised it was the safest solution for their needs. We also added a top plate, to make it an easier gradient, and provide safer access at the top. The ability to be easily assembled and dismantled, as well as it’s lightweight nature, make the Roll-A-Ramp® a great solution for the Auckland Central RDA. 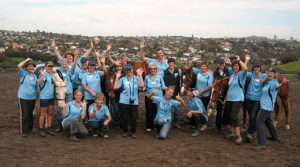 New Zealand Riding for the Disabled (NZRDA) is a a not-for-profit organisation which provides opportunities for anyone with a disability, to enjoy safe, healthy, stimulating, therapeutic horse riding and horse-related activities in New Zealand. RDA Groups throughout New Zealand provide over 3,000 children and adults with disabilities, an unforgettable experience each year. These riding programmes are designed to complement conventional therapies and education. There are a range of different ways that you can support the NZRDA and this awesome cause – from becoming a volunteer to donating. If you would like to get involved with your local RDA group, visit the link below.